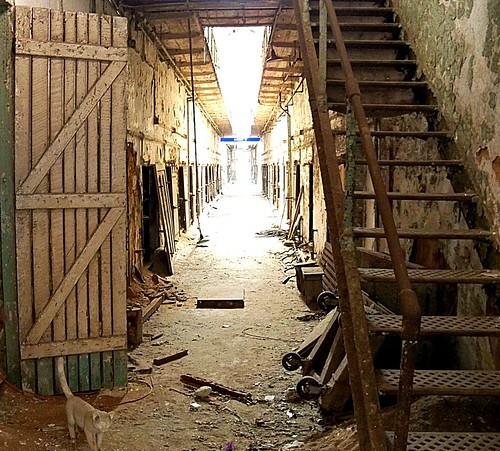 Once the most famous and expensive prison in the world, Eastern State Penitentiary exists today in a conflicting condition known as “preservation ruin”. 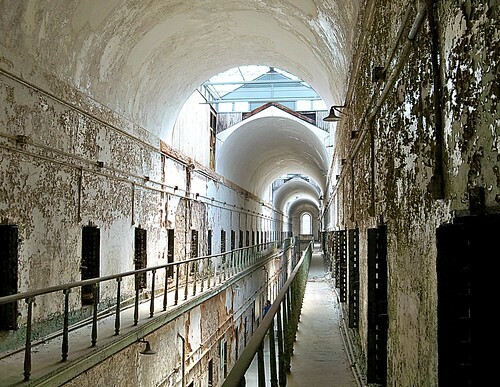 The result is a haunting world of empty guard towers and crumbling cell-blocks serving as a functional museum thanks to preservation efforts started by the Eastern State Task Force in 1988, the same year the building first opened for limited group tours. 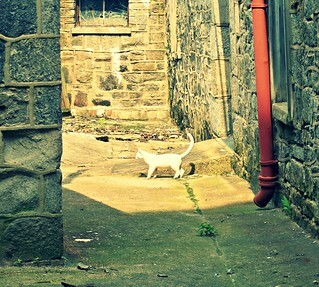 Representing a testimony to survival, The Ghost Cats was an artist installation at ESP created by Linda Brenner. 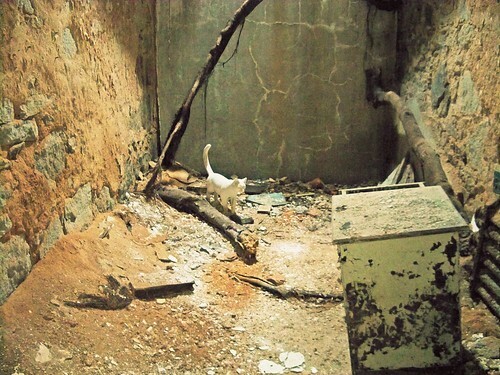 A colony of cats decided to take up residence at the abandoned jail after it closed in 1971. 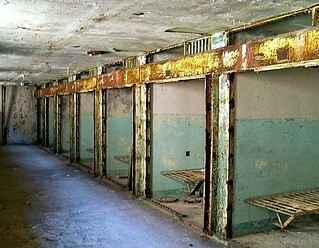 For 28 years, “Dan the Cat Man” (Dan McCloud) devoted his time to visiting the abandoned prison to care for the cats. Can You Find The GHOST CAT? In 1993, The Spayed Club neutered the ESP cats and their population finally started to dwindle. The last of the cats died off between 2002 and 2003. 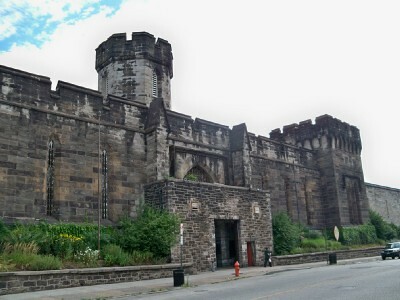 Observant visitors could locate all 36 cat sculptures throughout the prison museum in Philadelphia, Pennsylvania. The installation was placed beyond the areas where on-lookers are allowed access, in the hopes that the sculptures will be viewed as a part of the larger past existence of the life and history of the building. The exhibit was dedicated to “Dan the Cat Man” who passed away in April of 2002.